Sign up at Intertops Casino Red to claim your No Deposit Bonus Code & before staking your real money, read this unbiased online casino review! We give you an access to the latest offers from Intertops Casino Red! Intertops casino is a popular operator that was founded in 1996 by Thinkquick Ltd, and has been conquering many players ever since. This online gaming platform exhibits two casinos, namely, Intertops Casino Classic and Intertops Casino Red. Speaking of Intertops Casino Red, it is the original casino which was launched in the year 1996 and is now known as Intertops Casino Red whereas the Casino Classic has been recently launched to give Intertops members a newer Vegas-style experience of gaming adventure. Intertops Casino is licensed by the Kahnawake Gaming Commission. Itech Labs has made sure that the games available on the site are fair. There’s a list of the RTP of each game, which can be accessed on their website. It’s available in English and in Dutch. There are over 300 instant-play and download games offered by this online casino, which are powered by Real Time Gaming and are available on both desktop and mobile. The latest bonuses and promotions are designed to enhance your game play, thus, sign up to get your free codes today! Playing at Intertops casino from mobile is easy, and this can be done on a number of iOS and Android devices, like an iPhone, iPad, tablet, Mac or a PC. Same credentials (username and password) can be used to access the player account irrespective of the gaming device you choose to play on. You will have access to most of the games with the Intertops mobile casino while on the move with no need to download any software. to play on. You will have access to most of the games with the Intertops mobile casino while on the move with no need to download any software. 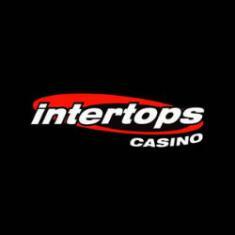 Intertops is a brand with 4 products – Sportsbook, Casino Classic, Casino Red and Poker but the Live Dealer Games are available only in Casino Red. To access the Live Gaming lobby of this online casino, you need to login to your Casino Red account, make a qualifying deposit and voila! are available only in Casino Red. To access the Live Gaming lobby of this online casino, you need to login to your Casino Red account, make a qualifying deposit and voila! The Intertops casino games are powered by two popular game developers in this industry: WGS Technology and Realtime Gaming. • Intertops Casino Red is powered by Real Time Gaming whereas Intertops Casino Classic is powered by WGS Technology. • Real Time Gaming renders multiple mobile games, Flash and downloads, Business Intelligence, Kiosks, Agency Systems and the best Back end. • Both WGS Technology and Real Time Gaming offers the best Slot Tournaments played online. Casino Red is powered by Real Time Gaming whereas Intertops Casino Classic is powered by WGS Technology. The gaming library of Intertops Casino Red exhibits over 300 instant-play and download online casino games under the tabs – New, Table Games, Slots, Video Poker, Specialty and Progressive. Real Time Gaming is the mastermind behind all these ace games ranging between Online Slots, Poker, Roulette, Progressive Jackpots and Baccarat. When it comes to the Slots lineup of Intertops Casino, it hosts over 70 Online Slot machines ranging from Classic Slots to Multi-Reel Slots. Also, every month this gaming platform gives away a bonus in the form of Match Deposit and Free Spins on the Slot of the month, which is usually the latest launch in the industry. The Blackjack tab of this casino offers European Blackjack and Super 21. Roulette maniacs are in for a treat as this gaming platform is home to both European and American Roulette. By and large Intertops has a decent collection of games, which can be played at any time through your account. You can play Blackjack, Roulette, Video Poker, Keno, Caribbean and of course, Slots. *Other games combined includes Bonus Bingo, Roaring Twenties Bingo, Caribbean Draw, European Slot, Poker, Caribbean Stud Progressive, Let Em Ride Progressive, Caribbean Hold'em Progressive, Caribbean Draw Progressive, Live Baccarat, Live Blackjack, Pai Gow Poker, Red Dog, French Roulette - Multiplayer, French Roulette - Singleplayer, American Roulette - Singleplayer, 5 Diamond Blackjack, Magic 7s, Lucky 8's, Hot Dice, Treasure Tree, Sic Bo, Cleopatras Gold, Goldbeard, Enchanted Garden, Crystal Waters, Achilles, Coyote Cash, Pay Dirt, T Rex, Loose Caboose, Texan Tycoon, Triple Twister, Naughty Or Nice, Count Spectacular, White Rhino, Vegas Three Card Rummy™ and War. Redeem coupon code SIGNUP100 while making a minimum deposit of USD20 at Intertops Casino in order to claim the Welcome Bonus. The bonus is a 100% match up to USD100 after you make the first deposit in the casino. The wagering requirement is 30x bonus amount. You will have to finish the wagering requirement before you can withdraw your remaining balance. To get each of the 5 bonuses, players will need to make a minimum deposit of USD20. You can get up to USD100 per week. To qualify to this, you’ll need to make a deposit of USD50 or more, and there’s a minimum wager of USD500 while playing on your mobile device. The draw of the winner happens every Wednesday. 20 players at the casino are given a free bonus of between USD20 to USD100. To keep the spirits high and let you try the new Slot releases for free, Intertops Casino offers Slot of the Month Bonus each month, wherein a player is offered certain Match Deposit Bonus along with some Free Spins on the latest Slot launched. Every time you play at Intertops Casino, you earn Comp Points aka Loyalty Points, which are further redeemable for real cash. Thus, the more you play, the more Comp Points you earn; and the more points you earn, the more cash you get. Thus, stay loyal to this online casino and scoop in some real money in lieu of your loyalty. When it comes to the bonuses and promotions, Intertops Casino is invincible. Every day, every month, every season and every occasion bring you a reason to celebrate with the latest promotional offers of Intertops Casino. To redeem all the latest bonus codes, stay tuned! Spin the Wheel of Fortune at Intertops Casino to rub your hands on a prize pool of $1,000 mystery bonuses everyday, making it a Wheel worth $30,000. Every day 20 lucky players will receive $50 each. To participate in this promotional offer, just play any of your favourite online casino games and by default you'll be eligible to spin the wheels and reels here! Intertops Casino can be accessed either in the mobile / desktop browser directly for instant-play or you can download the gaming software. In order to start playing, you’ll need to enter the URL in the search bar of your browser, click enter and you will be taken to the homepage, wherein you can decide any of the following – Download, Instant-play and Mobile. The first that is going to appear on the homepage is a place where you can click to register, so you’re taken to another page where you can create your casino account. You will need to fill in your personal information like your address, bank account number and other, in order to be able to play at Intertops. After filling all the information, just click on “Create account” and you’ll be all set. Before you can play, you will need to make a deposit on your casino account which is simple. You have to use one of the various banking methods that are available at the casino cashier. You have to choose the amount of the money you want to deposit, and click on Enter. The money will be available on your account right away and ready to be used. Also, to play with more than what you deposit, redeem free code SIGNUP100 and claim a 100% Welcome Bonus up to $100. After getting the bonus and the deposit amount on your account’s balance, you can start playing. There are many online casino games you can choose from, like Slots, Baccarat, Keno, Video Poker or Blackjack. A huge gaming collection ensures that you aren't easily bored at this online casino. I simply love playing at this online casino because it has got everything that a player looks for – friendly customer support team, easy verification process, quick payouts, lucrative bonuses and a great collection of Slots, table/card games and live casino games. By claiming the various new slot game and slot of the month promotions I have tried a lot of slot machines for free. Thanks to the free spins granted under such offers. It's been almost 8 months now since I have been playing at this platform but haven't received a no deposit bonus even once yet. Got free money twice! I am wagering today n clear bonus money! Min. wagering applicable so I take an hour with $18, got $50! Request withdrawal but they take 7 days! Every Monday write, few more days! No money yet! Verification very rigid! Been playin here for 4 months. Rad place. Download is free and has 300 games. Though im all about rolling the Roulette Dice but i find myself enjoying the slots here. you will find other games too. Welcome bonus is $100, Slots people can find slots of the month offers and spins and bonus.Lots of other games bonuses too. and loyalty points. For now just two language options. I think more will be launched soon. Please enter your review for the Intertops Casino Red.